Welcome to August, dear friends. 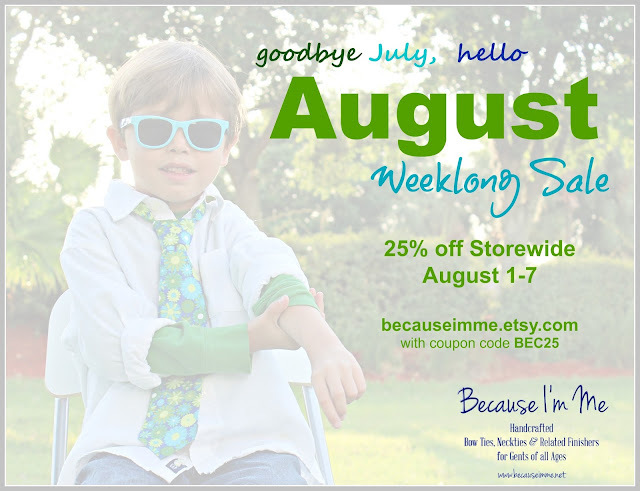 To celebrate a new month Because I'm Me is having a weeklong sale. 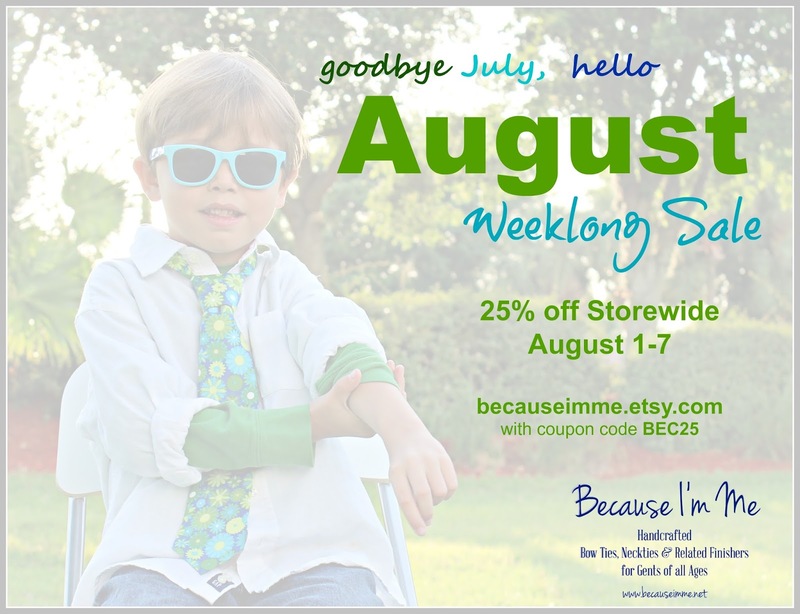 Save 25% storewide in our shop with coupon code BEC25. All men's ties, boy's ties, pocket squares, suspenders, and vests and included in this awesome sale. Hurry for best selection, supplies are limited on many of our most popular tie prints.